What is an Alabama Non-Compete Agreement? Alabama Non-Compete Agreement: What Is It? A non-compete agreement in Alabama (also known as an NCA or a non-compete clause) is a legal document that is used to prevent another party or business from working for a similar business or starting a similar company. In some cases, these agreements may only restrict the employee from working for a competitor within a certain geographic region, while in other cases, an agreement may cover all competitors for a certain period of time. 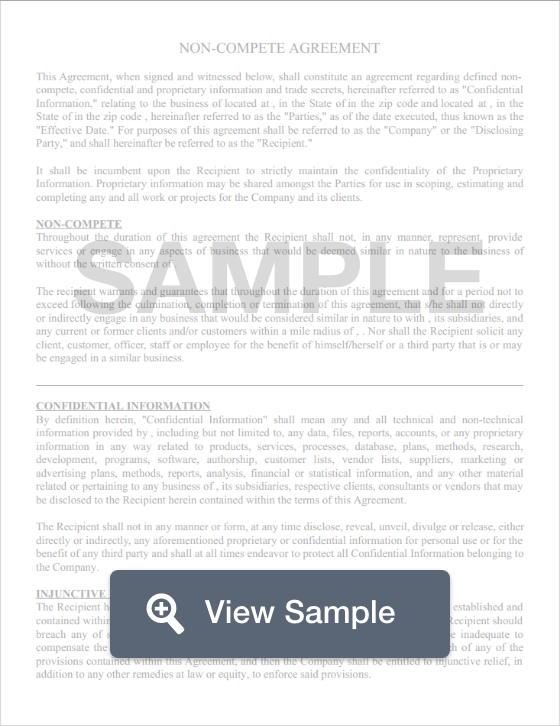 These types of documents are generally used during the hiring process, as new hires will likely be exposed to sensitive company information. These non-competition documents are often used in conjunction with non-disclosure agreements to ensure that business practices and company information is properly protected. Alabama does have restrictions on non-compete agreements. For example, the state forbids any type of agreement that limits a person or business's ability to hire essential personnel or another business’ commercial dealings with another essential partner such as a vendor or seller. In addition, non-compete agreements must be fair to the employee in both their time, scope, and geographic restrictions.